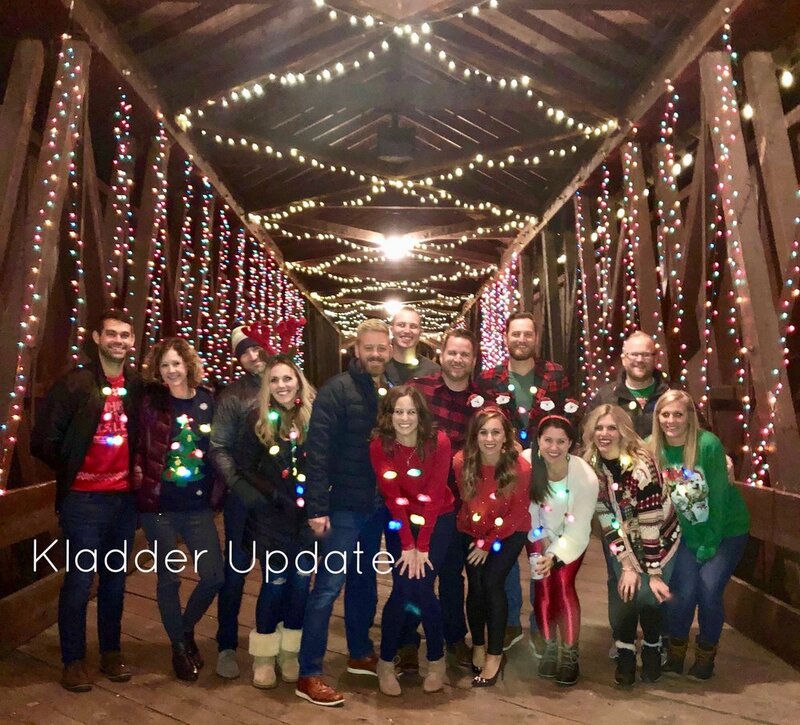 Kladder Update: Christmas Lights, Holiday Parties & Santa! Christmas is still two weeks away but the celebrations on Rosewood are already well underway. We joined our neighbors for the annual Holiday Progressive Dinner Party which raises it’s fun meter with each passing year. 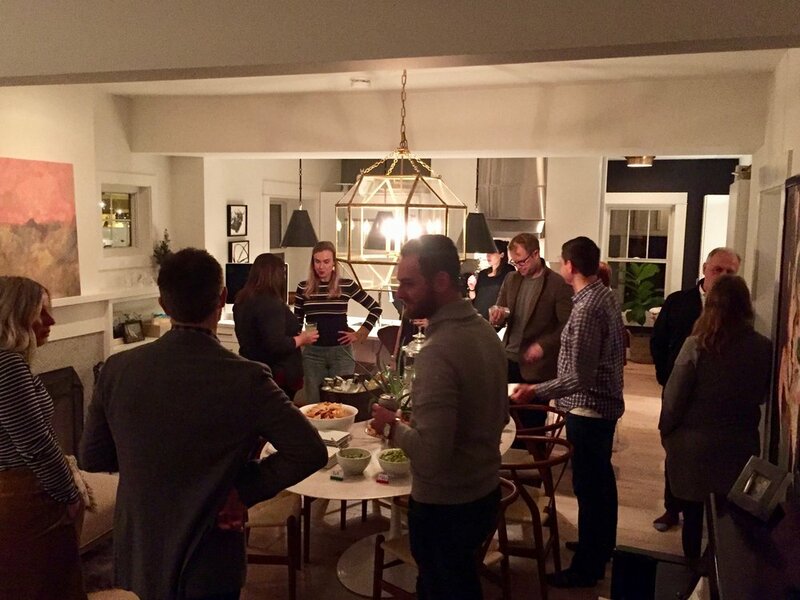 Following tradition, we had four participating houses with each providing beverages and appetizers. This year we kicked off with cheese and homemade smoked wings, a Mexican fiesta!, pork sliders and some amazing dessert bites. 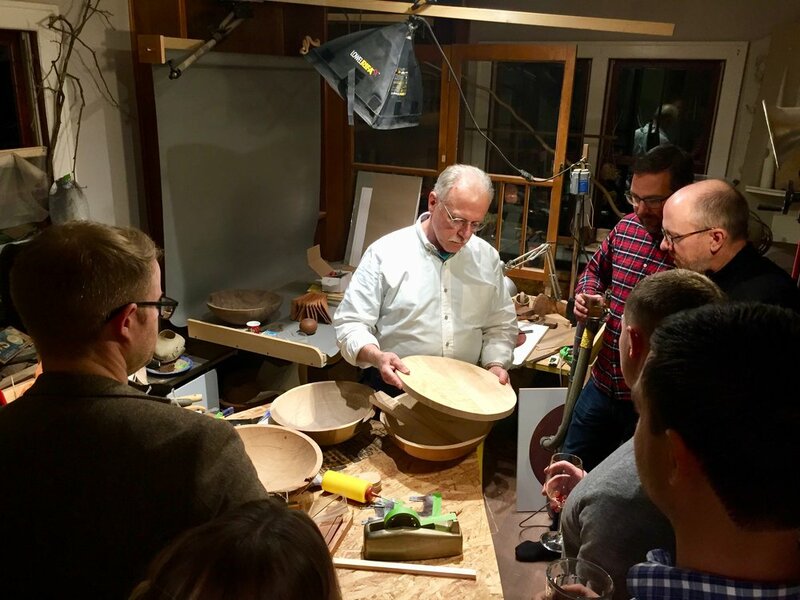 Our neighbor Steve even gave the party a rare tour of his in-home wood working studio. It was a very Merry Christmas on Rosewood! Last weekend we took the kids to AK Rikks to visit with Santa. Natalie solidified her request for a Cinderella Dress (something she decided on back in August) while Thomas, on the other hand, may not be getting anything from Santa this year (see photo below). Natalie also got to experience a visit from Saint Nicholas along with her classmates at her preschool Christmas party. Grace Church Preschool is rich in storytelling and play and the teachers went over the top by actually having a staff member dress up as Saint Nicholas and filled all the students shoes with treats including oranges, candy canes and gold chocolate coins. Watching their reactions to the gifts was pure magic and Natalie gave everyone a solid laugh with her comment, “Saint Nicholas left me money and now I can get married!” A shout out to the teachers for doing a stellar job of taking photos and keeping us updated online. 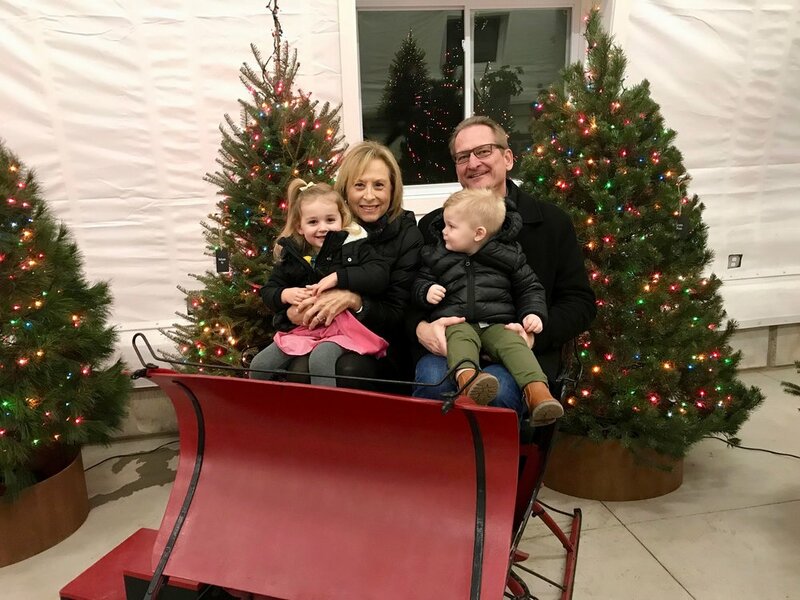 Monday we packed up the kids and headed out to Fredrick Meijer Gardens to see the train display and the trees decorated from around the world. We’ve gone the last several years and have made another holiday tradition out of it. This year Jeff’s parents joined us, and Natalie and Grandpa completed the scavenger hunt together. And since we had already visited Santa the weekend before we got to skip the incredibly long line and instead spend our time walking through the rest of the spaces. Bonus! And while I’m done with all my Christmas shopping, over the past couple weeks I visited both the UICA Holiday Artists Market hosted at my Steelcase office on 44th Street as well as the Uptown Shop Hop over in our neck of the woods. I do a lot of shopping on Amazon (likely because of all the same the reasons you do too)… but having the opportunity to do some local shopping has been pretty rewarding and fun. There are so many great new shops and restaurants in the neighborhoods between East and Downtown that are making not only the Shop Hop a ‘must-do,’ but a destination for shopping and dining all year round. 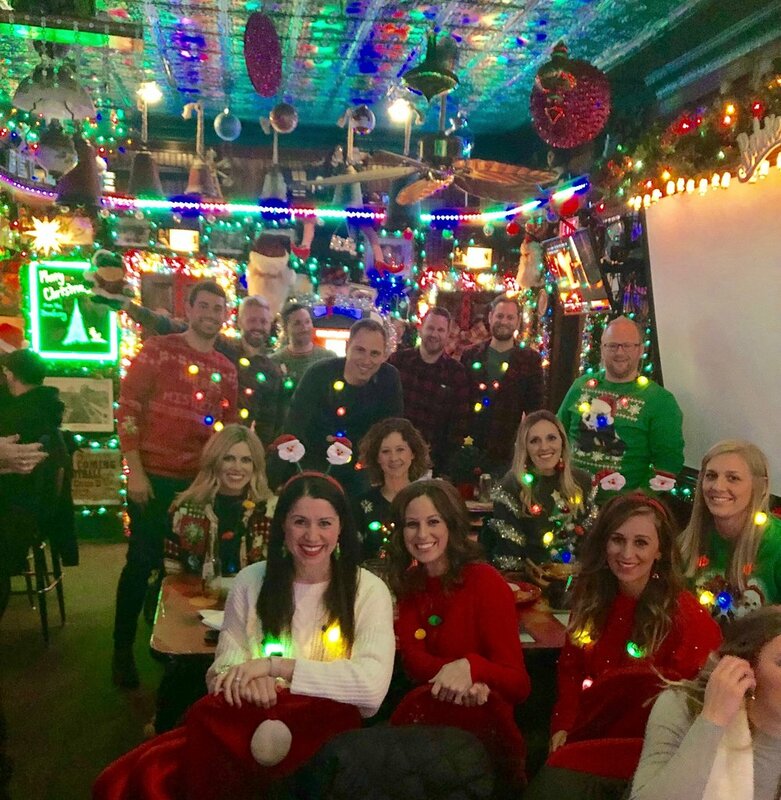 Some notable new spots include The Counting House, DENYM (new to the area - formerly on the Westside), Marie La Mode, La Fleur Boutique and everyone is completely head over heels with the year round outdoor coffee spot, Outside Coffee Co. - They’ve got heated bubbles! 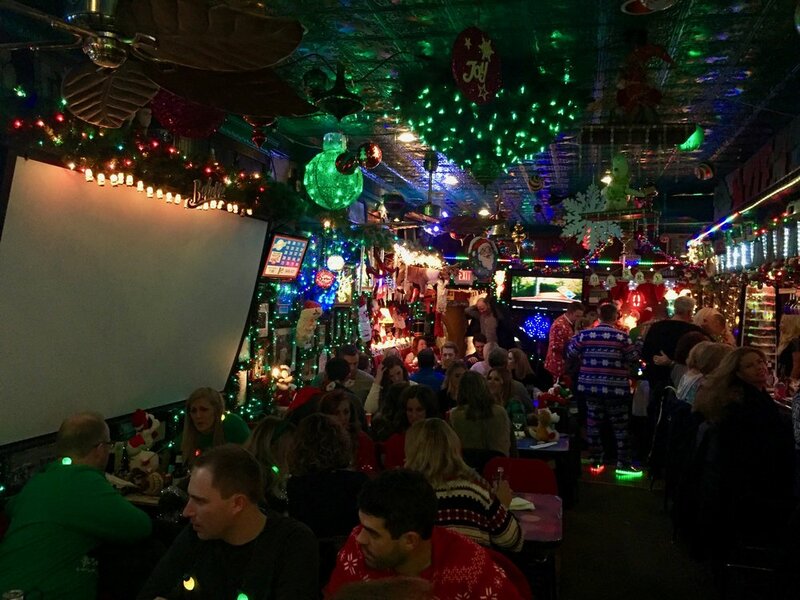 Also in our neck of the woods, Eastown held it’s first annual Tree Lighting ceremony sponsored by Harmony Brewing. Us Rosewood neighbors bundled up our kiddos and walked the few blocks to check it out and while it was a good first attempt, we all had a good chuckle because the tree isn’t all that big and could use a few more strands of lights. Nevertheless, we appreciate where their head’s are at and support their effort. We’ve still got high hopes of them turning that corner parking lot into a fenced in beer garden. We’d never leave! In other news, we’ve been making due with one vehicle again while Jeff shops for a new car. Just over a week ago he got into a pretty bad car accident on 131 heading south just outside of downtown, totaling his car. This makes us two for two this year with car accidents - mine was totaled just over a month ago. The accident was caused by a young driver who spun his vehicle hitting a semi head on and then spinning into Jeff’s lane where they also collided. Amazingly, everyone walked away with only scratches and minor burns. And while we are two for two with cars being totaled in accidents caused by young drivers, we are also two for two in being alive and well. Crockpot season is in FULL swing over here and you know me… I’m in my happy place! While I’m all excited about the efficiency of dinnertime, Jeff’s making jokes like: Crockpots… for when you want your family to tell you they hate it before you even make it. But I know the truth: he’s holding out for cocktail weenies and sauce before the winter’s over, which, in his opinion are the main purpose of crockpots. Speaking of crockpots, Mars Hill hosted it’s first ever potluck bringing out an impressive three long tables full of more than 100 crockpots filled with cheesy potatoes, pulled pork, chili, macaroni n’ cheese and so many meatballs. The meal was in part a celebration of combining our former 9am and 11am gathering into one 10am service. But it was also our entire congregation participating in one sacred practice: sharing a meal together. The planner in me was overwhelmed with the organic vibe and slight lack of order, but the believer in me was left feeling quite joyful. Despite not living in Grandville we’re still able to find a true sense of community at Mars Hill. Photo credit goes to our pastor AJ. 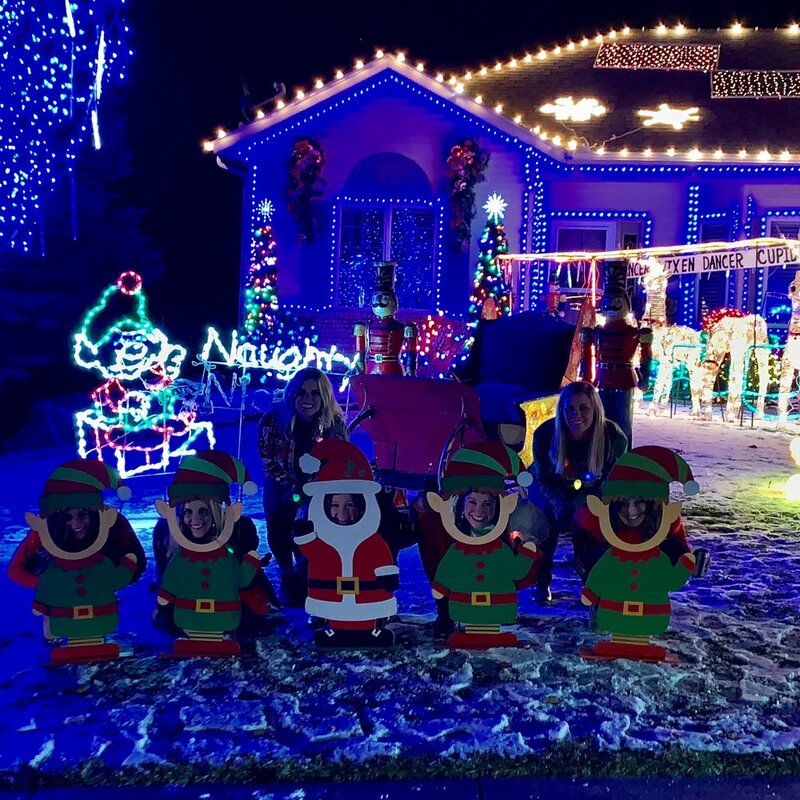 Last weekend we had entirely WAY too much fun hosting what I’m now officially naming the 2018 Christmas Light Tour. 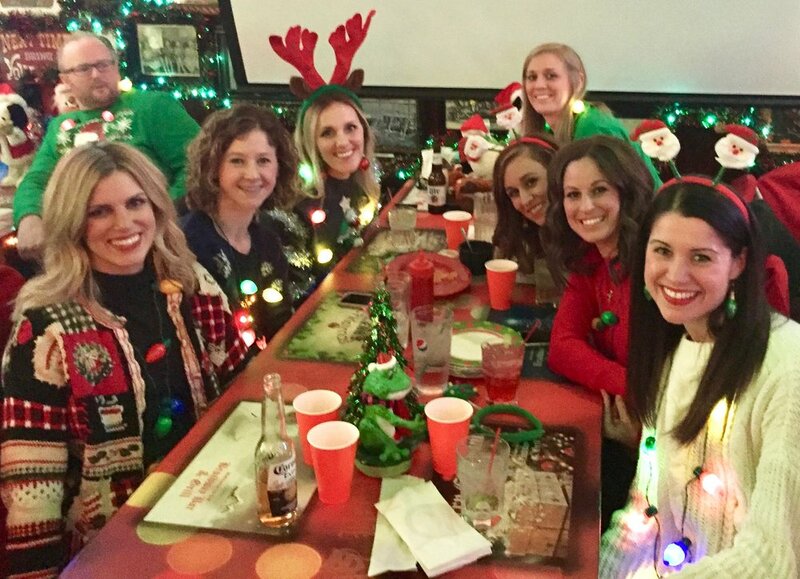 Just for fun we put together a festive evening with friends that began at Broadway Bar. The game plan was to eat greasy burgers and fries before boarding our super classy stretch hummer. However, the kitchen got behind and we ended up skipping dinner altogether = a recipe for more fun on the limo. For the next two hours we drove around Grand Rapids listening to Christmas music, stopping at a few designated locations to gawk at the lights. 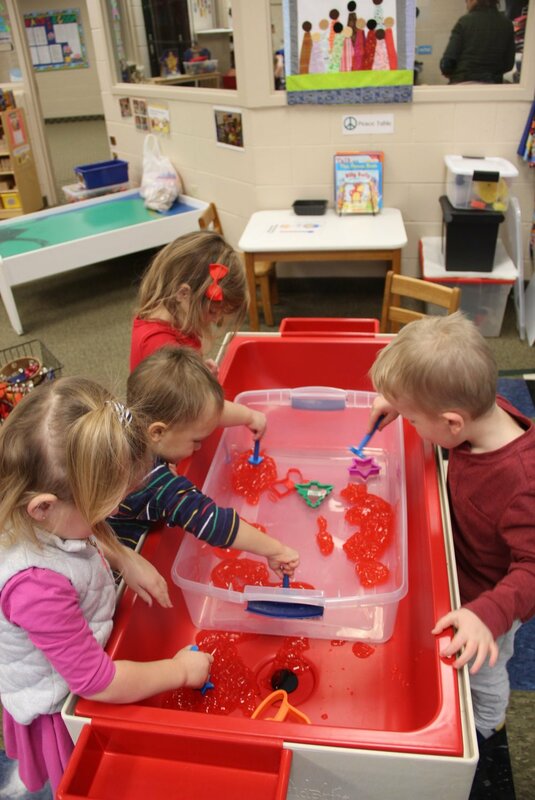 Overall, we were impressed by how much effort some folks put into decorating their homes! It certainly provided a great excuse for us to rent a limo. Later, the driver dropped us off at our house where the group ended the night with Christmas Trivia and survival pizza. If you’re wondering where we pulled our list of stops for the light tour, a big thanks to GRkids.com for the crowd scoured list! As we continue full steam ahead towards Christmas, we wish you Happy Holidays and a very Merry Christmas! And for goodness sakes, if you find yourself in need of a gloomy winter day pick me up… don’t forget our 5 guidelines for a ‘happy winter’: Christmas cookies, fireplaces, warm boots/coat, a stiff cocktail and hot tubs! Get yourself some! 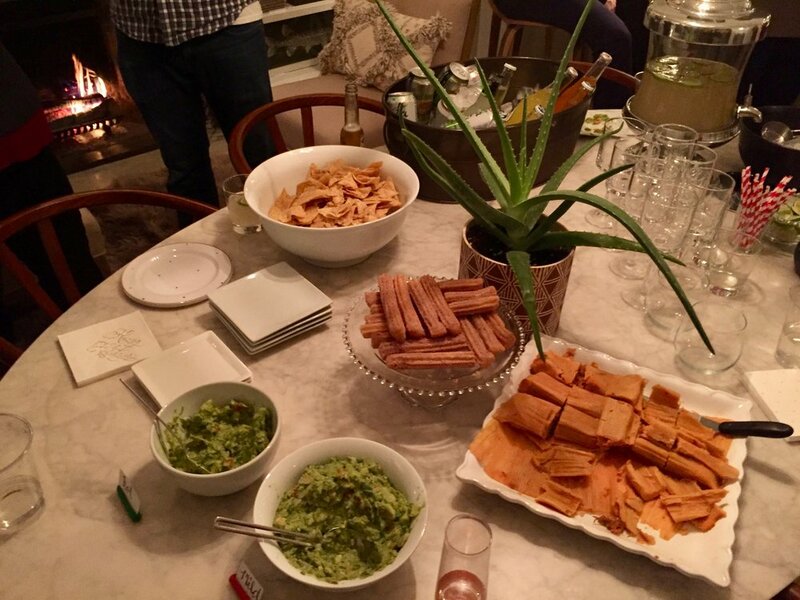 MeXo - We finally tried out MeXo with our Rosewood supper club this week and loved the food. I would summarize it as fancy Mexican food. Danzon Cubano - This month we also tried the new cuban place off Fulton. Alternative to MeXo, we were left disappointed with how bland all the food was. I reviewed both on Yelp.